Steven (Chicagoland, United States) on 2 May 2013 in Animal & Insect and Portfolio. 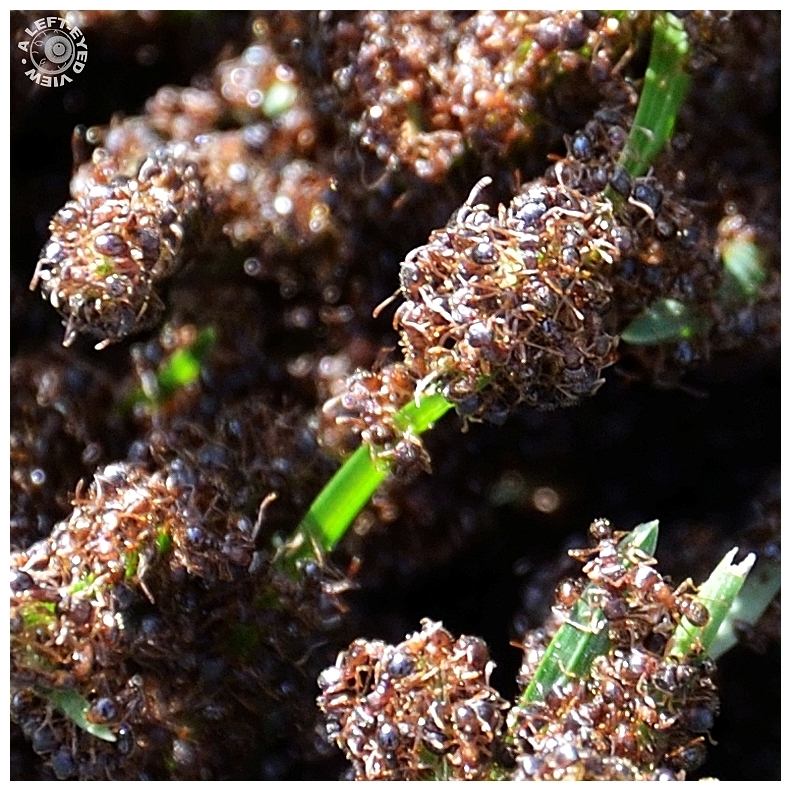 Blades of grass are under attack as they are caked with legions of ants. Photo captured May 1, 2013. Wow ...Incredible !! Great framing . OMG! Heck of a frame filler. Quelle armée ! Elles vont faire des dégâts ! Superb find and captures - one of nature's dramatic moments! Wow! What the heck are they doing with the grass anyway? An amazing photo Steven.... that's unusual, isn't it? Why are they attacking the grass? Ants are very interesting and industrious insects... I've watched many documentaries on them. A nice full frame of ants..... the light really hones in on all the action... superb! wow, this is spectacular! i've never seen anything like it ! Are they so starved they are eating young blades of grass??? Oh my goodness. What an amazing find and capture. Sometimes this happens just before raining ... Great closeup of this impressive invasion !!! What's going on? A dramatic shot of these critters. Impressive shot Steven! It's really spectacular! Well done. Wow, that is an amazing sight ... and that many ants scares me! Great find and documented capture! Fantastic close up! I don't think I have ever seen so many ants together! No doubt about it - got a problem here !! An intense image that really shows the "hive mind" of insect productivity at work. "Ahhhh, save me" they seem to scream ! Fantastic shot of that.